A woman with an aura of confidence. A petite pianist with elegance. Labeled with Naxos of America, the #1 independent classical music distributor in the United States, her album is now all over Amazon.com, iTunes, and classic charts. Works of the hidden gems, Korean composers, are revealed to the world by her fingertips, in which critics acclaim as fantastic, splendid, and exuberant. Such a magnificent woman lives right in the capital of the world. 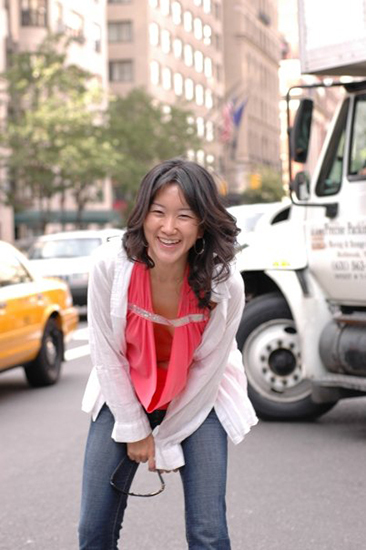 At a small cafe in Alice Tully Hall, she insisted other pianists to come out of the practice room and see the world. And here's the rest of her story full of life, love, and sounds. What influenced you the most to become a pianist? Music itself - nobody has ever forced me to do anything. My mother has been a piano teacher who graduated from Yonsei University with a major in composition. 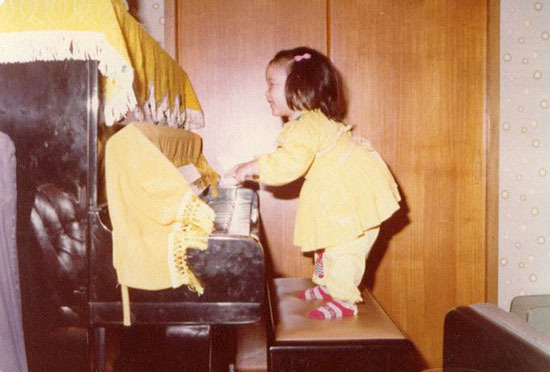 I became familiar with piano sounds since I was a child and picked it up myself. I enjoyed the sound and wanted to play. Why did you come to Manhattan School of Music? I always wanted to study abroad to see the world and experience different cultures to broaden my scope. Music is a universal language, and one can always learn from diverse environment. I had an intense training at Yewon School and Seoul Arts High School as a teenager. It was a very competitive atmosphere, so when I decided to come to New York, I wanted to give myself room to be more proactive to find my own voice rather than being told what to do. Manhattan School of Music provided such a space for me. Were there any hardships studying abroad? Although New York is a cosmopolitan city which appreciates and accepts diverse ethinicity, it took me a long time for me to feel that this is my home and where I belong to. That’s basically the bottom line. On top of that, it’s very hard to make a living as a musician. I hadn’t realized it until Korea had a severe financial crisis and my parents could no longer support me. It was a 180-degree change in my life. Since then, I stood alone and started working for the first time in my life. My mid to late 20’s was a constant struggle for survival: I worked as a tutor, church accompanist, and bartender and learned how life can be challenging just like most musicians would agree. My 20’s was definitely not a flatland without any ups and downs, but I never thought that I was going through hardships because I had a dream, and I was in love with music, in which I eager to express myself to reach out. I just never had a time to feel sorry for myself. The 20’s are very vulnerable times, and one is apt to get lost. So you have to be careful with whom you listened to and who you hang out with. It always helps to have a role model and perceptive mentor not to waste your time. After going through this and that, I had entered my 30’s, and I feel more comfortable with myself to focus on what really matters the most. A communicational skill is mandatory in any profession, not to mention a classical music field. Especially in the States and as informational technology develops so quickly, it is vital to be a good communicator. Let’s say two pianists, A and B, are somewhat equally talented, but A is a better verbal communicator, then presenters are likely to choose A over B. Cultural barriers? Yes, many times I still feel that. I think childhood education really defines one’s identity strongly. It is scientifically proven that human beings are likely to believe what they are used to more than the proven facts. But I also think that it is important to open your heart and mind to others with humility. It is easier to close your heart, but it takes courage to open one. How do you normally practice? I try my best to practice regularly. I believe the number of hours doesn’t mean much - what matters is how much I focus during the practice. It is quality and contents rather than quantity that matter. What was the most memorable performance? A Concerto Performance with Sinfonieorchester Berlin in March 2011. It was, as always, a euphoric experience with German audiences who are exceptionally serious and respectful to music. I won’t forget to mention the great acoustic, members of orchestra and the beautiful Hamburg Steinway piano at the Berlin Philharmonie Hall. Above all, I loved the stage 360 degree surrounded by the audience seats. I felt much closer to the audience. I prefer this to a standard right profile stage. Who would you say your rival is? There are a lot of young, beautiful, talented pianists all over the world. But I say, “An apple is an apple and an orange is an orange” – they have different colors but look beautiful together in a basket. Pianists and performers shine the most when they stay in faith to themselves and respect others at the same time. Everyone’s tone and style differ from one another, so no one can judge who is better than who. Your favorite player might be someone’s least favorite, and taste is a subjective matter although there could be always good or bad taste. Did you ever want to give up or take another path down the road of life? I didn’t have any choice. I couldn’t and still can’t imagine myself without music because it’s the way I am. If I quit music, I have to change myself and it’s not going to be easy. But because this path is really difficult, I sometimes face a wall and feel like I have nowhere to go. Once I hit the dead-end street, I breathe in and out, take a break, recharge myself, and start again. What was the major turning point in your life? I would say now. Positive or negative? I guess I will be able to tell later. Do you still get nervous before concerts? Definitely! The degree of nervousness depends on my body conditions, level of preparation, and all the other little factors. Intimate proximity with audience in a small hall makes me more nervous than a vast space of the large. Among a performer, founder/artistic director of New York Concert Artists & Associates, and teacher, what would you say your favorite role is? I like everything I do and try to enjoy the bumps on the road. But my role in the New York Concert Artists & Associates is particularly fulfilling because I get to help other musicians. Recruiting young pianists and giving them opportunities to perform make me happy. And that’s something I’ve wanted to do. Many pianists around the world search for oppotunities and we are happy to offer auditions going on in Paris, New York, and Seoul. We also have annual concerts in May at Good-Shepherd Church, 66th Street and Broadway. For more info on the album, click here. How was the album produced? The production was planned since about three years ago. I recorded in November 2009, but it took a while until the album release on July 25, 2011. I believe that it is the responsibility of performers of this generation to premiere living composers music. Why did you choose to work with Korean composers? The works of Korean composers were never recorded with international labels. I thought it’s a meaningful thing to do. All of them, Isang Yun, Sukhi Kang, Uzong Chae, Chung Gil Kim, and Younghi Pagh-Paan, are amazing artists with unique styles. The biggest difference is whether an audience is in presence or not. Evidently, the primary focus of recording is accuracy - that’s another fundamental difference. Live performances, however, can still sound great even with a few mistakes since audiences breathe with musicians. I prefer live performances, because when tensions are transformed into another form of energy, something greater comes out. It’s definitely more fun and thrilling. The album's recording engineer, Leszek Wojcik from the Carnegie Hall, has precise, keen ears. The music in the album was extremely modern and new to both of us, it was a fun experience, trying to interpret the music together. I enjoyed exchanging opinions and reading the complex sheets of music with the best recording engineer. Where do Korean pianists stand in the world? 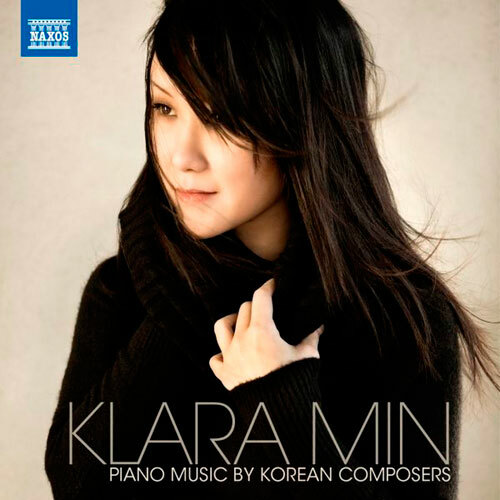 Korean pianists are doing very well internationally. China will be kicking in soon. Generally, Asian students persevere in trainingwith their devotion and hard work. How is living in New York? What do you like the best about the city? When I first came here, a taxi driver told me, “You have to be wild to live in New York City.” I didn’t understand what he meant by then, but now I do. This city really strengthens people, only ones who endure or enjoy the pressure survives, and everyone needs to work hard. What I like most about New York City is that there are so much opportunities once you look for them. It’s indeed “The city that never sleeps!” That’s why I think it’s a perfect place for young professionals. Will you have your child study music? Well, I guess I will need to ask my child. I listen to anything that doesn’t seem distracting or noisy to me. Beautiful songs with and without lyrics, symphony, strings, vocals, and birds tweeting… Piano takes a part in a broad spectrum of music. But, I can never listen to heavy metals. Oh, I have many, but I try not to idolize a person over his/her artistry. I would say, my teachers, Wonmi Kim. She is a remarkable pianist, teacher, and individual who lives in Italy. And James Tocco, who I admire wholeheartedly. What advice would you give to young Korean pianists? Have faith and be true to yourself. You can only do your best after all. Learn English to be able to speak fluently. Pianists, unlike string players, are always alone in practice rooms and more prone to be self-centered. Interact with other musicians and make good friends. Enjoy the ride!